We need to talk about witchcraft. That’s not a demand: it’s an observation. As a historian who studies Scottish witchcraft, I find in conversations that people don’t ask me what I know about it; rather, they’re keen to tell me what they know. For instance, I’m often told that witches were ducked in Edinburgh’s North Loch. Even more often, I’m told that when witches were ducked, if they sank they were innocent — but they drowned. Although neither of these ideas is true, they show that people have strong feelings about witchcraft, and they want to talk about it. They want Scottish witches to be remembered. Thus, this article isn’t about debunking myths (well, most of it isn’t); instead it asks about how we should go about saying something about witchcraft. Do we want to say something public that will enable us to remember Scottish witches properly? If we do want to remember Scottish witches, there are three things we can do. The first is to inform ourselves properly about the history of witchcraft and witch-hunting. That seems kind of obvious, but, with false information sloshing round the internet and being repeated in conversations, we need to keep our wits about us. Much of this process of informing ourselves is a private one, but there are also public questions involved — in the teaching of history in schools, and in support for museums and galleries. The two other things we can do are both focused on public memory. We can, if we want, pardon the witches. There have been various pardons and demands for pardons, and apologising for past atrocities has become popular. And we can, if we want, erect public memorials to the witches. Memorials to atrocities and their victims, too, have become more common; we no longer memorialise just the great and the good. Should we have pardons or memorials for witches? Today, we’re shocked by the executions of witches. But to people in the sixteenth and seventeenth centuries, witchcraft itself was a shocking crime. In Scotland, as in most other European countries, convicted witches were executed by burning, a particularly harsh punishment since it denied the body any kind of Christian burial. Scottish witches were usually strangled at the stake first, rather than being burned alive. Since pardons are on the agenda, one thing about witchcraft as a shocking crime is that it was usually considered an unpardonable crime. Mercy could be shown to some convicted criminals, but never to convicted witches. In Scotland, about 2,500 witches were executed. Precise statistics are hard to come by, since for well over half of all witchcraft cases, the main or only record we have of them is an order to hold a trial, with no surviving record of the outcome. We know that there were acquittals, but we do not know how many. Perhaps 4,000 people altogether were formally accused (named as witches in a legal context). Per head of population, Scotland’s execution rate was about five times the European average. About eighty-five per cent of Scottish witches were women. Witchcraft accusations often originated in quarrels between women, and women’s curses seem to have been feared more than men’s. One typical pattern of accusation was that someone would suffer a misfortune which they would then link back to a quarrel that they had had with someone else; they would conclude that the other person was getting their revenge through witchcraft. Usually people sought to end such quarrels through reconciliation and forgiveness — it’s a mistake to think that peasants usually wanted their local witches executed. But they didn’t object if the authorities executed them. Many accusations were generated during panics by the authorities, in which torture was used to gain confessions to the demonic pact. One witch was asked to name accomplices, and these accomplices could then be arrested and tortured to confess in their turn. A confession had to be credible, giving enough details to convince the interrogators that the suspect really had made a pact with the Devil; unfortunately, though, information about the Devil was widely known. Thus the belief systems of the peasants and the authorities were compatible with each other, but still distinct. For the peasants, the crime was practising witchcraft, while for the elite, it was a thought crime: the crime of being a witch. For the peasants, there was usually only one witch at a time; for the elite, once they started to panic about the threat of witches, it was a conspiracy. Any attempt to remember witches should keep both of these ideas in mind. Most moves for judicial commemoration of witches seek ‘pardons’ for them. In Britain, a pardon comes from the crown. Technically, it doesn’t declare a convicted criminal innocent, it merely ensures that they aren’t punished as a result of their conviction. To declare someone innocent, a further court hearing is needed — either of the original court, or else the appeal court. Most of the people demanding ‘pardons’ seem uninterested in, or unaware of, this distinction. Maybe it doesn’t matter: if people are satisfied by a pardon, then it has served its purpose. The witchcraft panic of 1692 in Salem, Massachusetts, has some good examples of pardons. Salem is famous, partly through Arthur Miller’s celebrated play The Crucible (1953), but there was also some notable rethinking at the time. Four years after the trials, the jurors who had found the witches guilty issued an eloquent apology: ‘We confess that we our selves were not capable to understand, nor able to withstand the mysterious delusions of the Powers of Darkness, and Prince of the Air; but were for want of Knowledge in our selves, and better Information from others, prevailed with to take up with such Evidence against the Accused as on further consideration, and better Information, we justly fear was insufficient for the touching the Lives of any.’1 Then there was a general amnesty in 1711. There matters rested until a new movement to ‘pardon’ the Salem witches arose in the late twentieth century, with various pardons by state governors between 1957 and 2001. A memorial was also erected to the witches in 1992; I’ll come back to the question of memorials. The state governors were at least the appropriate people to issue pardons at Salem. To date, the most elaborate ‘pardon’ for Scottish witches has been issued by a body with no jurisdiction to do so: the Baron Court of Prestoungrange and Dolphinstoun (you can tell from the spelling that there’s something ancient here, can’t you?). On 31 October 2004, this court pardoned eighty-one witches from the area who had probably been executed in the sixteenth and seventeenth centuries. Yet baron courts had had no real jurisdiction in Scotland since 1747, and in November 2004 they were finally abolished. Not only that, but they had never had jurisdiction over Scottish witches. None of the eighty-one witches had been convicted by this or any other baron court. So the text of the ‘Pardon’ is a mixture of cod-legalese and cod-history like this: ‘Finds in Law […] That all those persons and their cats convicted of “conjuration or sorcery” within the jurisdiction of the Baron Courts of Prestoungrange and Dolphinstoun and executed for the same were wrongly convicted upon the basis of “spectral evidence” legally insufficient under Scots law to sustain a conviction.’2 In fact, the phrase ‘conjuration or sorcery’ comes from the English witchcraft act, not the Scottish one, while ‘spectral evidence’ comes from Salem. What bothers me more, though, is the phrase ‘and their cats’, repeated throughout the ‘Pardon’ presumably to catch the media’s attention. The witch’s cat was a purely English phenomenon, arising from the fact that some English witches were thought to have demonic animal ‘familiars’, often cats or toads. The cat survives in popular culture today because we can identify with the idea of witches having pet cats. Not only is it unhistorical to pardon Scottish witches ‘and their cats’, it also trivialises them. The media did indeed pick up on the pardon for witches ‘and their cats’, no doubt helped by the fact that the pardon was issued on Hallowe’en when there is a demand for entertaining witch stories. But the main place for witches ‘and their cats’ today is in children’s literature. Winnie the Witch doesn’t need a pardon. Most pardons or calls for pardons seem to take it for granted that witches were victims of injustice, so that there doesn’t have to be much discussion of the law. But witchcraft was a statutory crime in Scotland by a law of 1563, which was repealed only in 1736. What exactly would we be saying if we pardoned the witches? I can see three possible approaches to the issue. Firstly, it might be possible to argue that the witches were improperly convicted, even under the law as it stood. Such an argument would focus on such things as the use of torture to obtain confessions. Torture appears to have been quite common. However, this is another area where historical evidence is sparse. For most witches we have no evidence on whether they were tortured, and we rely on indirect inference such as general contemporary statements that torture was common. For some witches we have quite detailed evidence indicating that they were probably not tortured; typically such witches were convicted, not on the basis of a confession, but on the basis of statements from their supposed victims (often of the ‘quarrel followed by misfortune’ type mentioned above). There is also the problem that torture was not necessarily illegal at the time. As a historian I would not be able to state with confidence that all witches were improperly convicted under the law as it then stood. Could we pardon some witches and not others, especially when for most individual witches the surviving evidence would be insufficient one way or the other? Secondly, we might pardon the witches on the simple grounds that we, today, don’t believe in witchcraft. A ‘pardon’ in this sense would amount to a statement that witchcraft should never have been considered as a crime, because it does not, and therefore did not, exist. Such a statement would be not so much unhistorical as ahistorical, erasing the difference between the past and the present. Thirdly, we might pardon the witches on the grounds that we, today, do believe in witchcraft but we want to call it something else. Quite a few of the modern descriptions of witches use words like ‘spaewife’ for them — a word, meaning a female fortune-teller, that became popular in the nineteenth century. Some of the convicted witches had indeed used spells or charms, usually for healing or divination. They were hardly ever convicted simply for this, however; usually healers were accused of witchcraft when they were perceived as having deliberately harmed their clients for some reason. Moreover, most of the convicted witches were not magical practitioners at all. And again, in most individual cases, we would have insufficient information to be able to state definitely whether they had been magical practitioners. Overall, then, I’m sceptical about pardons because they appear to attempt to rewrite the past. As a historian, I’m keen for us to learn from the past, but I don’t really want it rewritten. Let’s talk about memorials instead. Memorials to witches have begun to appear since the late twentieth century, part of the trend towards memorialising those who have suffered injustice. A memorial honouring the Salem witches was built in 1992, the third centenary of the panic. Cologne in Germany has erected a double memorial — to Katharina Henot, a witch whose execution provoked a panic in 1627, and Friedrich Spee, a Jesuit priest who published a book criticising witch trials in 1631. The large and striking Steilneset Witch Memorial at Vardø, Norway, commemorates the ninety-one witches who died in the country’s sparsely-populated Arctic province. Art, architecture and history combine at Steilneset, the windswept execution spot. Scotland has some monuments to executed witches, but they’re of variable quality, and none seem to be well known. The most important one is in Edinburgh. 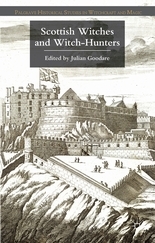 Most Scottish witches were tried and executed in their own locality, but about one in ten were sent to Edinburgh for trial in the High Court of Justiciary. If convicted they were also executed in Edinburgh — usually at Castlehill just below the Castle. A small memorial was placed there in 1894: a cast-iron wall fountain with a bas-relief designed by the symbolist artist of the Celtic revival, John Duncan. It’s tucked away on the western side wall of the building currently occupied by the Tartan Weaving Mill. The symbolism, as one would expect from Duncan, is arcane: along with the witches, a serpent and a foxglove are depicted. These indicate his belief that witches were female healers and magical practitioners. The fountain has been disconnected. Some monuments are embarrassing in their historical inaccuracy and confusion. There are monuments to ‘witches’ who were never executed, such as Marion Lillie in Spott. There are even monuments to ‘witches’ who never existed, such as ‘Maggie Wall’ (or ‘Maggie Walls’) in Dunning. In Forres, the so-called ‘Witches Stone’ has a notice announcing that witches were rolled down Cluny Hill in spiked barrels. Goodness knows where this idea came from, but there’s certainly no known historical documentation of any such practice, nor indeed is there any documentary record of witches from Forres. The notice was presumably erected in the twentieth century — at least, there’s an old photograph predating it. Further confusion has arisen because Forres is a prominent setting for Shakespeare’s Macbeth, giving rise to the idea that the witches in spiked barrels had something to do with the witches in the ‘Scottish play’. The witches of the seventeenth century have gone, and they’ll never come back. We study and remember the past, not for their sake directly, but for the sake of the present and the future. To remember the past publicly, a memorial has to meet many challenges. It has to engage with people’s existing knowledge; it has to be historically accurate; and it has to carry an emotional charge. Witchcraft is certainly an emotional subject, but not all emotional responses are appropriate. To remember Scottish witches appropriately, a lot of thought and a lot of imagination will be needed. 1 Robert Calef, More Wonders of the Invisible World (London: Nathaniel Hillar and Joseph Collyer, 1700), p. 144. 2 You can see the text of the Prestoungrange Pardon here.